Based in the UK, HideMyAss or HMA VPN is owned by AVG technologies, yes, the same one that owns the AVG security software. Like all VPN services, HMA connects your computer to a server on their network, and all your information is rerouted through this server. Meaning if anyone tries to track you down using your computer’s IP address, they will instead find the location of the server. This is how your data is kept private, and your identity anonymous. Your data is also protected by an encryption that keeps any prying eyes away, and even if they get their hands on it, due to the encryption they can’t find out the content of the transmission. That’s why VPN are used extensively in many businesses these days, and keeping in mind the new information that just surfaced regarding spying of government agencies without the populaces permission, it’s better to be safe than sorry. VPNs are also used to unblock sites such as American Netflix and unblock HBO Go effectively unlocking large amounts of content previously unavailable in New Zealand. • It has an absolutely massive network which contains over 940 different servers in in more than 350 locations worldwide along with 120,000 IP addresses to choose from. • Up to two devices can be connected simultaneously to one account. • Other than the normal VPN service, it also includes hidemyass proxy, IP checker, panic button and many other small, simple and free to use apps and addons. • Easy to use and visually pleasing website which makes signing up for subscriptions and other services very easy. • Great customer support. Extremely responsive even though it is a ticket based system, but you mostly get a reply within a few minutes. • Gives users the option to choose from four different protocols, namely OpenVPN-UDP, OpenVPN-TCP, PPTP, and L2TP. OpenVPN is your default protocol which can be changed later on. • Comes with a 7-day free trial and you will only be charged after that time period is over. Until then you can use full services for free. • Extremely light UI that doesn’t not interfere with your other apps and is not resource hungry at all. You won’t even realize its running in the background. • Probably not the fastest VPN service provider but it is consistent. You won’t see any dips in the speed and it will remain consistent. • Supports basically all of the major platforms like Windows, Mac OS, android and iOS for your mobile devices. • Great packages that offer something for everyone, some of the cheapest packages I have ever come across. • Very simple app. For those looking for something advanced with more options, you will be disappointed. 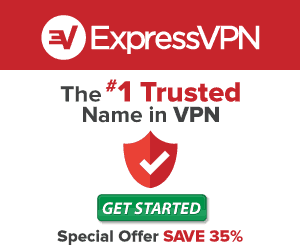 • The 128-bit encryption is below the usual 256-bit AES encryption that many other VPN service providers offer. This is a simple and easy to use VPN with a lot of variety server wise that will satisfy most normal users. But as previously mentioned, if you are looking for a VPN provider that will give you the top of the line features with a lot of customizability, then you should look elsewhere. I hope this hidemyass com review has helped you make up your mind.